What is a Flat White Coffee? Flat White is a small, yet very dense and textured milk-coffee drink. It consists of a slightly more concentrated and stronger version of espresso and very richly steamed, thick, whole milk. Because a Flat White must always contain whole milk, the flat white calories per cup are always at least 220 calories. In this guide, we will discuss the differences between the Flat White, the Latte and the Cappuccino. We will also provide some smart tips that will help you know whether or not you are getting the real thing when you visit your local coffee house. As an added bonus, we’ll provide simple instructions on trying your hand at preparing the perfect Flat White at home! What Is A Flat White​? You may be surprised to know that espresso coffee is the main ingredient of the Flat White, Cappuccino and Latte. The difference in these specialty coffees lies in the strength of the coffee, the type of milk used and the preparation of the milk. Worried about calories? Check out Is Coffee Fattening? For those wondering, the difference between Espresso and Latte is the milk, a lot more milk. And the difference between Latte vs Cappuccino is milk foam as stated above. The espresso component of the Flat White is a bit stronger than in the other two beverages. This is because the amount of water used to create the espresso is slightly less than that used for Cappuccino or Latte. It is created using two ristretto shots of espresso. This is a term meaning "restricted". The shot is cut short before it is fully poured. This makes the flavor of the espresso more concentrated, stronger and sweeter. The "Flat White" originated in Australia in 1985. It was created by Alan Preston, the proprietor of the Moors Espresso Bar in Chinatown in Sydney. Although variations of Flat White coffees had existed previously, the preparation technique perfected by Preston is the one that skilled baristas around the world seek to emulate today. Milk is the main difference between a latte and cappuccino and flat white. However, when prepared by a barista there are other subtle differences as well. Cappuccino is prepared using a spoon to hold back the stiff froth in the milk pitcher while a measured amount of steamed milk is being added to the drink. Following this step, the froth is released to top off the drink. You should be able to see three distinct layers: espresso, steamed milk, froth. When you drink this beverage, you should be able to distinguish the light froth from the dense and flavorful coffee. Latte is also prepared using a spoon to restrain the froth while steamed milk is poured almost to the top of the cup. A small dollop of froth is added to the top for decoration. A Latte is a physically heavier beverage than Cappuccino. You should be able to feel the difference in heft while holding a cup of each in each hand. When you drink this beverage, the flavors of coffee and milk should create a rich blend. Flat White is prepared by free-pouring velvety, micro–foamed whole milk directly into the cup without the use of a spoon. Espresso and milk should be in equal amounts. The end result should be dense, rich, flavorful and textured. It's easy to see that even though Cappuccino, Latte and Flat White all share espresso as their base ingredient, there is a big difference between the three beverages. Just as with any specialty drink of any kind, there are sure to be variations from location to location and barista to barista. One example of this is the fact that some baristas produce the Ristretto Effect by simply preparing the Flat White with a single espresso shot rather than a double Ristretto shot. For purist Flat White aficionados, this is unthinkable; however, for most people this is an acceptable method of preparation. While it's only natural to have some slight variation in the preparation of Flat Whites, there are a few things you should watch for to be sure you are not accidentally being served a Cappuccino or Latte instead of a Flat White. Not only is it important to use whole milk to create the Flat White, the method of preparation is very important. The milk must be fully steamed to a micro-foam. You must take care not to allow any visible bubbles, foam or froth to develop. A layer of heated liquid milk at the bottom. Tiny micro-foam bubbles in the center. Larger, stiff bubbles (froth) at the top. The larger bubbles and froth must be eliminated by "stretching" the milk while steaming. This involves a process of swirling and folding the milk. This process is followed by lightly tapping the pitcher on the counter top to knock down the bubbles. In addition to the aforementioned specifications, the method of pouring is very important. The milk must be added to the coffee in a way that does not disrupt the structure of the coffee and that allows the crema and oils to rise to the top. The crema consists of a sweet tasting, orange caramelized coffee substance that naturally rises to the surface of a shot of espresso. In a properly poured Flat White, the crema will blend seamlessly with the milk. Skilled baristas can take advantage of this dusky orange substance to create attractive designs on the surface of the beverage. If you have a good espresso machine with a milk steamer, you can always try your own hand at the Flat White. Here’s how! Preston says that the trick to making the perfect Flat White is to create a beverage that urges the oils of the coffee to the surface. He says that the Flat White, correctly prepared will slide off the sides of the cup create and "tide marks" that mark the drinker's progress throughout. Preston further explains that the drink must be prepared entirely without the use of utensils such as spoons and that it must never be served with sugar or any other adulterating substance. He says that the beverage must be allowed to stand for a few moments so that a meniscus will form on the surface. This adds to the texture and flavor of the drink and further sets it apart from Cappuccino or Latte. In the world of specialty coffees, the Flat White has become very popular; however, many people don't really know what this incarnation of the specialty coffee consists of. Using high quality ingredients is key to making the perfect Flat White. Start with an excellent quality of espresso. Remember that the flavor of any specialty coffee depends upon the coffee itself and not the flavorings. 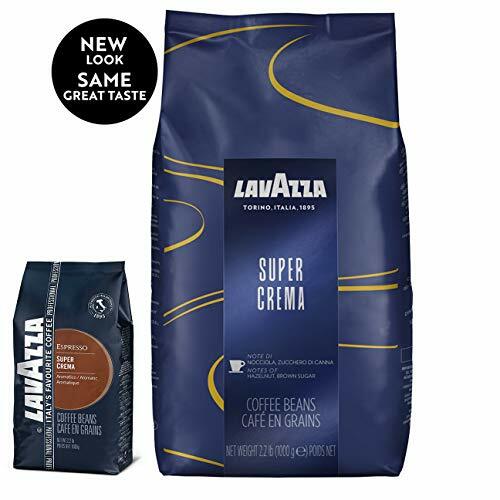 Choose a high quality espresso blend to create your Flat White and, indeed, any and all of your specialty coffee creations. When preparing the espresso for a Flat White, you can use either of the methods mentioned earlier. Brew a single shot or a double ristretto shot to create a strong, concentrated, small measure of espresso. Swirl the coffee in the cup once, and move quickly to steam your milk and add it. Time is of the essence. You will need to practice quite a bit to get it just right! Be sure to use whole milk. If you can get natural, organic, non-pasteurized milk, so much the better. Even if you are simply using milk from your local grocery store, be sure that it is whole milk. You cannot create a good Flat White with low-fat or nonfat milk. You should also have top-of-the-line equipment. 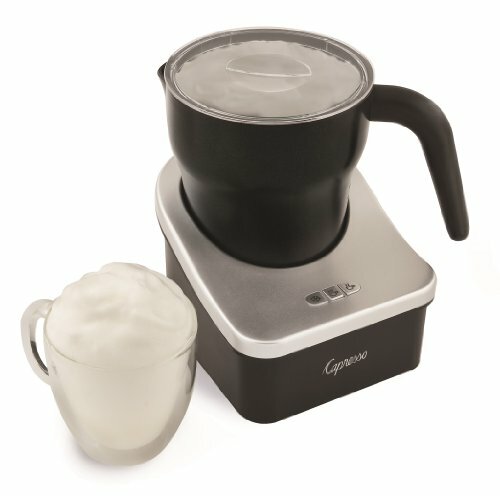 A high quality steamer will produce expertly steamed milk with no bubbles and a velvety thick texture. 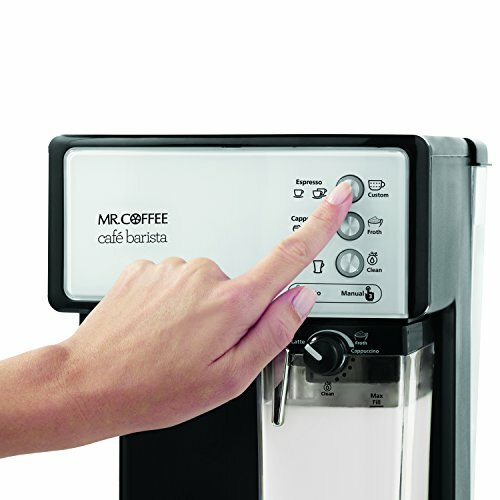 You can purchase a separate steamer, but if you have a high quality espresso machine that is equipped with a steam wand, it should be able to do the trick. 1. Measure Properly! Be sure to measure correctly for best results and to avoid a mess. You’ll want a cup of milk for every cup of coffee. Remember that the steaming process will cause the milk to double in volume. 2. Before you begin steaming, you should purge your steam wand. To do this, turn it on for a few seconds to expel stale water that may be lingering in it. 3. Place the tip of your steamer wand slightly beneath the surface of the milk. It should be at approximately a 15 degree angle. Choose the full pressure setting and turn your steamer on. 4. Move the tip of the steam wand beneath the milk surface to increase the milk volume. Be very careful to keep the tip of the wand slightly submerged. You will know that you are doing this correctly by the sound it makes. It should sound a bit like a piece of paper being torn. 5. When you have increased the volume of the milk by approximately two thirds, move the tip of the steamer deeper into the milk. Angle your milk pitcher so that the contents spin quickly stirring in the very small air bubbles. 6. Attaining the ideal temperature is very important. Continue this process until the outside of your milk pitcher becomes too hot for you to hold. This is how you will know that your milk is a hot enough. Alternately, you could use a thermometer. Your milk should be approximately 152F. 7. When you remove the steamer wand from the milk, be sure to purge it again and wipe it clean. When you do this, you can rest assured that your wand will be ready for the next time you use it. You can also be certain that you are not leaving a breeding ground for germs. 8. Swirl the contents of the pitcher lightly and tap it on your counter or table top. When your milk is the perfect texture, it will look like a wet, glossy paint. 9. Pour quickly! It is ideal to pour the milk into the coffee immediately. Hold the spout of the pitcher directly above the espresso and pour with confidence and flair! With a bit of practice, you will soon be creating latte art just like a professional barista. 10. Allow the drink to sit for just a moment to develop the aforementioned meniscus on the surface and then simply enjoy! Flat White has become very popular in both the United States and the United Kingdom recently because of heavy marketing on the part of chain stores such as Starbucks. There is some irony in this since Flat White is an Australian creation, and the strong coffee culture in Australia shuns chain coffee shops. For this reason, if you are looking for a good Flat White in Australia, your best advice would be to seek out small, independent coffee bars and avoid the big chains. If you are in the UK, your only choice may be a franchise type store. When selecting the best chain for a Flat White, your selections are as follows. Costa’s makes the best Flat White, but you should tell them that you do not want it large. A large Flat White is inauthentic. Nero’s would be your second choice. Be sure to watch them prepare it so you don't end up with a Latte or Cappuccino. Starbucks’ attempts at Flat White are iffy. Their coffee seems to be a bit too bitter to pull off the rich sweetness of this beverage. In the US, Flat White results are hit-and-miss. Starbucks is almost your only choice since the chain dominates the specialty coffee market. If you happen to be in New York City, Stumptown Coffee Roasters does a good job of preparing an authentic Flat White coffee. Otherwise, you will need to simply go through a process of trial and error in your own location until you find the perfect Flat White for you. When you create your own specialty coffee drinks at home, you will spend approximately a quarter of the amount of money you would spend in a coffee house. Additionally, by using your own specially selected, reusable espresso cups, you save resources and prevent mountains of waste from cluttering up landfills, roadsides and waterways. Needless to say, you can take great pride in your smart, thrifty choices and your admirable coffee making skills!